Doogee F5 Phablet is one of the latest high-specs device from Doogee (as of the time of posting) featuring a 5.5 inches display, 3GB RAM component, 16GB internal storage, fingerprint sensor, 13MP rear camera and a 5MP front shooter. The smartphone runs on Android 5.1 Lollipop operating system out of the box and powered by an octa-core Mediatek MT6753 CPU. Recently, I was looking for a root method for Doogee F5 Phablet, tried all rooting app, no avail. Thanks to MushroomLT for providing us with this root script. Before you proceed, make sure that you’ve enabled USB debugging on your Doogee F5 phablet. To enable, go to settings >> scroll down to “About Phone” >> Build number (simply tab build number 7times and you’ll get a message that says “You’re now a developer”). 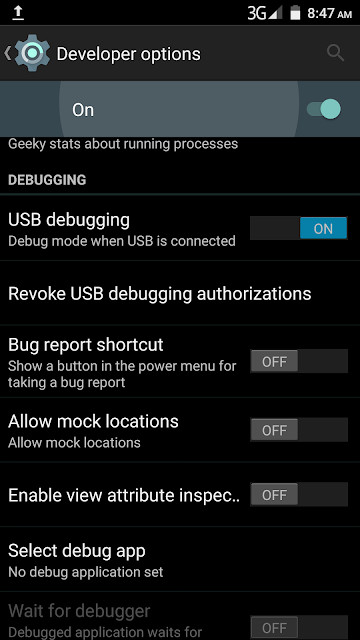 Now go back to settings menu >> developers option >> then enable USB debugging, as seen in the image below. Now that you’ve enabled developers option on your smartphone, you’ll need to have the below requirements for the root procedure. Step 1: First download the root files from the above link, and extract the files to the desktop screen of your computer or create a folder and extract to it, as seen in the image below. Step 2: Now, power off your device. Step 5: Now, you’ll need to flash the ins_boot.img located in the boot images folder, so simply rename to boot.img. Step 6: Now, locate the “MT6753_Android_Scatter.txt” file, which is located in the boot images folder and tick boot. Step 10: Once you’ve flashed the ins_boot.img file, don’t disconnect your device, and simply run RootNow.bat that is path of the extracted files and follow the onscreen instruction. 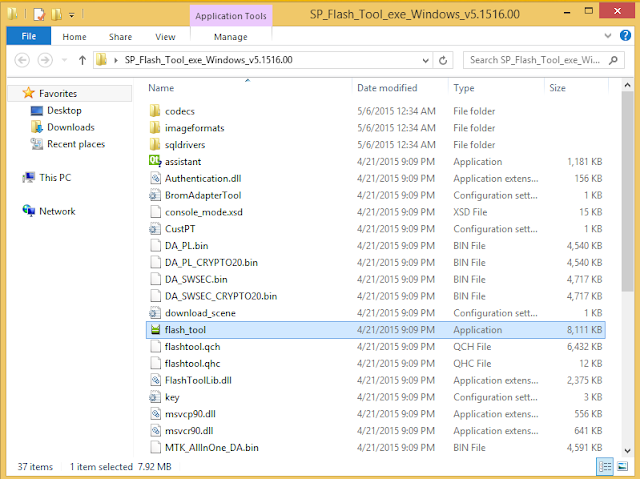 Step 11: After running the rootbat, and it gets successful, simply disconnect your device, use the above proceed from Step 5-9 to flash the stock_boot.img, don’t forget to delete the ins_boot.img, which you renamed before and then rename stock_boot.img to boot.img, locate same scattered file and flash. Step 12: Now, disconnect your device, wait for about 20 seconds, and then power on your device. 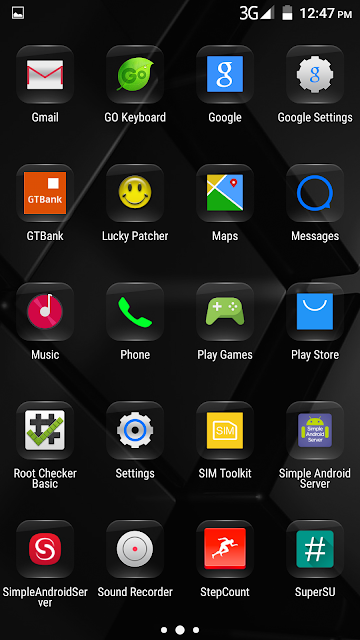 You’ll see SuperSU on your appdrawer which shows that your Doogee F5 Phablet is rooted. You can make use of root checker to verify root access. Hope this helps? If you got any issue or difficulty with this process, do let me know, and I won’t hesitate to give you my feedback via comment section. About the step 8 after I start down load n connect my phone get error message say :there is file not loaded yet;hint 1 check if the da path is correct. 2 check if all room file exist. 3 check if scatter file subscription is sync with exist rom..
After rooting can you have on screen buttons? I was able to follow all the steps, installed ins_boot.img, ran RootNow.bat successfully then reinstalled stock_boot.img but at the end there are no SuperSu application installed. My doogee F5 is uptodate, could it be the issue? Does this work only for an older version?